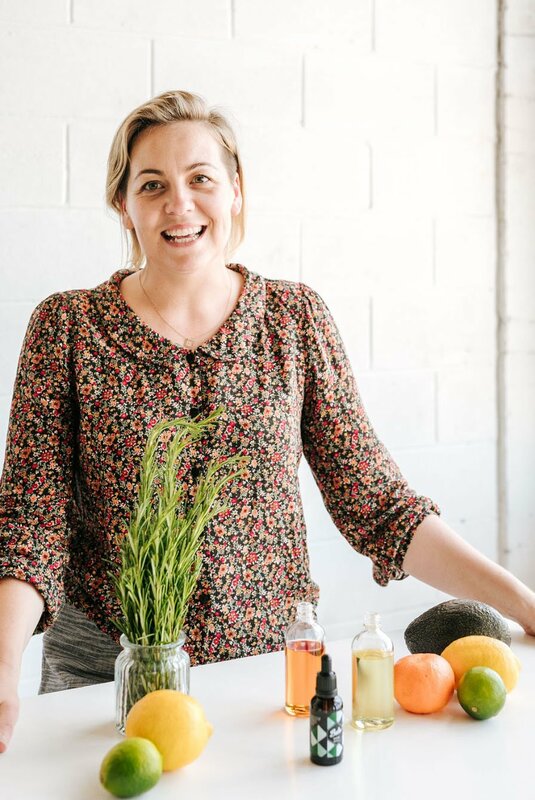 Babs Bodycare is a green, clean, natural skin care brand founded by Andrea in Melbourne in 2014. Andrea, having previously switched to a mainly low-toxin lifestyle, was frustrated with the options available at the time. She found that most products available were marketed and advertised with a lot of green-washing and actually contained “acceptable” toxic preservatives and ingredients. Having a hard time finding an effective deodorant, she tried her fair share of products. From roll ons, sprays, aerosols, sticks and crystals but nothing could stop her love of garlic & spices seeping out in her sweat. After trialing the latest “natural” deodorant from the health food shop, her friends told her, “your B.O. actually smells like kebabs” – this got her the nickname ‘Babs’. A few months later, Andrea started making her own deodorant, using only natural ingredients AND it worked! It stopped her kebab smelling B.O. Friends and family tried it and loved it. Babs Bodycare now creates a range of natural, organic skin and body care products. Natural & Organic – We pride ourselves on our honest and natural ingredients. We use a blend of certified organic & plant based ingredients harvested from nature. Cruelty Free – We do not support the testing of products or ingredients on animals. We do not use any ingredients derived from animals. While we are not an entirely vegan brand, (as we use beeswax for it’s natural antibacterial, soothing and protective properties) a lot of our products, our oils and some deodorants are vegan. Being a small business we are striving to make a difference. Not only with the natural and organic ingredients we choose to use in our products but the impact of those chosen ingredients have on their natural habitat, being cultivated, harvested and to those who grow and harvest them. Our impact goes beyond what ingredients you’re putting on your skin and washing down the sink – it is of course about your health and the health of our environment. Ethical – We source the bulk of our ingredients and materials within Australia and are able to support farmers and growers and small Australian businesses. 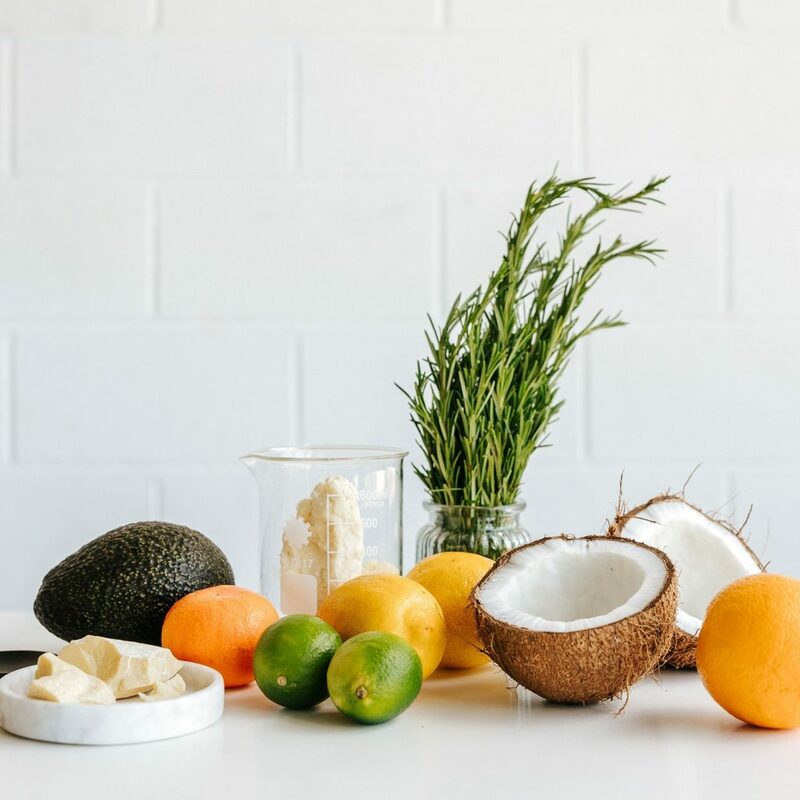 Ingredients that are sourced outside Australia (like Shea butter and Coconut oil) are purchased from fair trade sources who support the local communities where the crop is grown and give workers fair working conditions and good wages. In the past few years the growth of natural and organic industry has been expanding so quickly. This is amazing and we totally agree that renewable, sustainable and organic materials is the future (not only in skincare but food, clothing, furniture, accessories etc.) And while it is something to be celebrated, we are becoming more aware of the impact this demand is having on some species of flora. The ingredients we use in our products are readily available and sustainably grown. We do not use rare or threatened species of flora. Packaging – We choose to package your online order in one box, ready to post. While we understand that receiving a new skincare product in its own individual box may feel pretty special, there is very little use for it. Once the product is unwrapped the box is thrown out – costs of the ink, printing and cardboard are all discarded. We believe less is more, so in your order you’ll receive your purchased skincare products in their glass bottle or jar, surrounded by non-toxic, biodegradable packaging peanuts (yep no Styrofoam or bubble wrap here) in a cardboard box. Flyers are printed on recycled paper with plant based coloured inks. You may even receive your order in a pre-loved (used) box. Yep we reuse a lot of packaging where we can! That includes tape, boxes, bubble wrap, cardboard and paper, all which we receive in our deliveries. 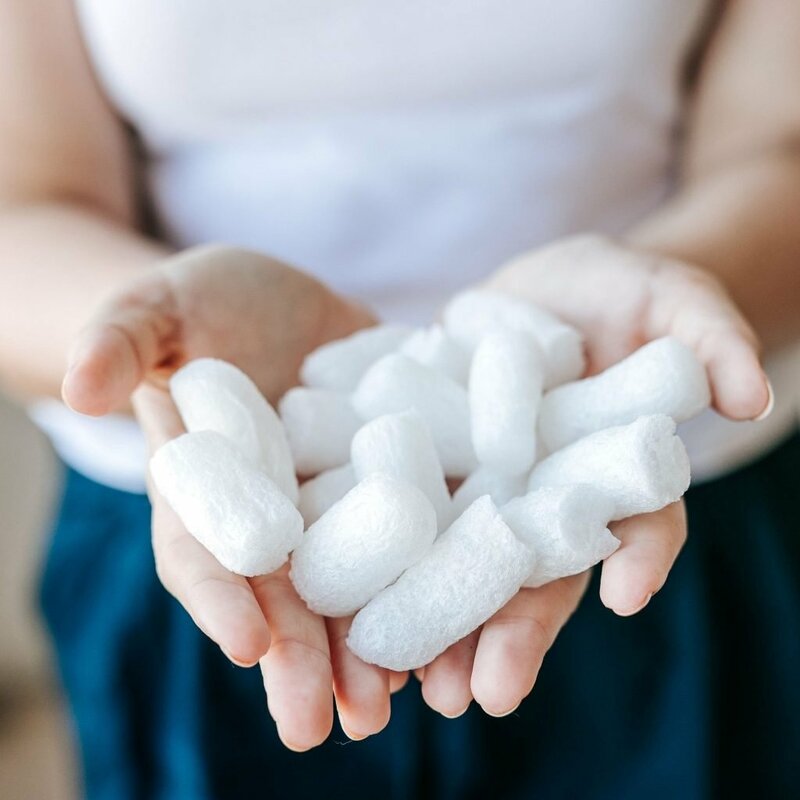 Packaging peanuts – these non-toxic, biodegradable, dissolvable and compostable packaging peanuts are made from corn or vegetable starch. They may look similar to foam BUT they are a trillion times better! You can tell if they are biodegradable by dissolving them in water or squishing them. Biodegradable peanuts will squish and have no static charge unlike Styrofoam. You can also pop them in the compost or use them for kids craft activities. We know we are no where near perfect because running a small business is about so much – cost, availability, effectiveness and sustainability. How we make, send and use our products makes an impact. We are continually striving to make our products and packaging more sustainable without compromising the functionality and usability of them. We are always looking at eco options to switch out more plastic, reduce our waste, reuse more and make even more of a positive impact to our environment.